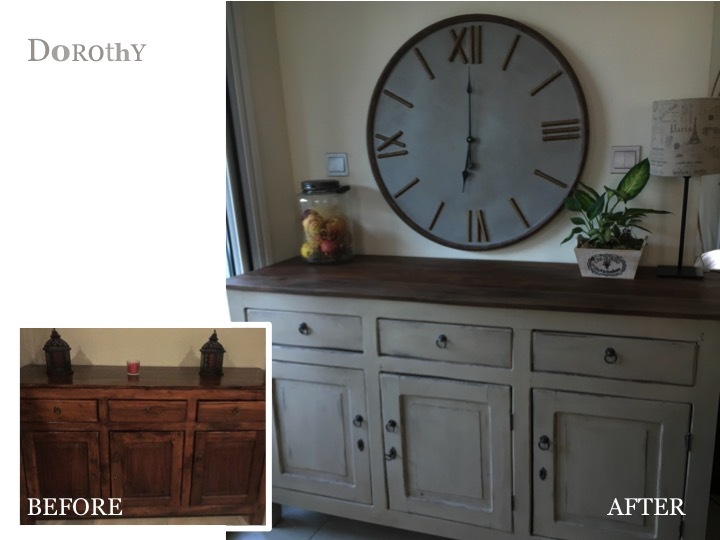 Since 2015, Joanne Hughes and Heather Rezek are specialized in rejuvenating of old furniture to give them a modern look or a rustic appearance. We do hand painting of your furniture with Annie Sloan Chalk Paint to personalized as per your requirement. Our customers simply cannot believe their eyes when they see their old furniture return home after a rejuvenating stay at The Parlour! We have been painting and reinventing our customers' furniture in Dubai and Abu Dhabi since 2015. The Parlour Maids are experts in a mind-boggling number of painting techniques, ensuring your tired, dull wooden furniture enjoys a completely new lease of life! Just take a look at our gallery to see some of the many pieces we have transformed. Or get a quote for your very own custom painted piece. A few techniques you will notice in the gallery for example are a "beach wash" which gives a lovely beachy or modern Hamptons look to a piece, uplifting its appearance with a brighter lighter look. Also the "shabby chic" look which is a very broad term which covers anything from a simple white recoat with a gentle distressing on the edges to give it a fashionable used look, to a very shabby distressed piece in darker colours to give a more rustic appearance. We can also use "layering" which can give a wonderful warm affect of more than one colour showing through, depending on which room or feel you are going for. We have many modern finishes which we have used, "block" colour which means a solid appearance with no beachy feel, or distressing involved to bring a piece up to date. All pieces are painted by hand, using two or three coats, depending on the finish required. When dry, it will be hand waxed. Here further finishes can be achieved with the use of clear, dark or coloured waxes to age a piece or add shadow and depth. We only use the very best in painting products from Annie Sloan. We love what we do and are happy to give our opinion and advice depending on the piece itself. For a free quote, simply get in touch and send us a photo of your furniture with dimensions and an idea of the finish you are looking for. One of the Parlour Maids will contact you to arrange a date for your piece to be delivered to The Parlour for its makeover. Our transformation usually takes five to six days. If you are unable to deliver your piece personally to The Parlour, we are able to help you find a delivery service which usually charges (within Dubai) AED130 each way.